Dragons’ Den | TV, eh? Everything about Dragons’ Den, eh? I’m a fan of Arlene Dickinson. Amid what seems like a cacophony of negativity on Twitter, she stands out with her positive vibes every morning. The outlook carries over to her latest television project as well. Under New Management, bowing Friday at 8:30 p.m. on CBC, catches up with the venture capitalist and Dragons’ Den investor as she aids aspiring business buyers in their quest to find a great investment. In Friday’s debut, that’s NBA veteran Cory Joseph and his sister, Danielle. The pair are looking to buy a restaurant—he recognizes he won’t be on the court forever and wants to build a nest egg—but finding just the right place is difficult. That’s where Dickinson shines, not just with her advice but a property twist that throws the siblings for a loop. We spoke to Arlene Dickinson late last year about Under New Management. Under New Management is the way that I want to see Dragons’ Den go sometimes, to follow after the deal’s been done. I know it’s not like Dragons’ Den in that way, but I do like seeing you working on these deals. How did the idea come about? Was it an idea that was pitched to you? Arlene Dickinson: It was an idea that was pitched to me, and it was pitched to me by a producer that I knew. He and I started talking about this. He said, ‘I really thought of you when I wrote this concept.’ He talked to me about it. I thought, ‘Man! This is just something I really relate to.’ And I loved the idea of it, which is understanding what people’s dreams are and then helping them realize it. Was it you or the producers that decided the projects and the people that you were going to meet? AD: People submitted their names and there were a lot of online applications. We went out and did a casting call and asked people if they were looking for businesses. I believe Corey and Danielle were found through somebody who knew about the show. They knew that Corey and Danielle were looking for a business and then suggested they apply, so they did. Corey is so smart recognizing that he’s been in the NBA for a certain number of years and knows that at any time in sports anything can happen. An injury can take you out and he’s planning for the future. AD: I think that a lot of athletes and people who count on their physicality in order to make a living can find themselves injured or their careers are very limited in terms of how long. Very few play past 40 unless they’re in golf. I know a lot of athletes, pro athletes who have no idea what they’re going to do. They hadn’t thought of the future. It was really interesting to see them going through the process, going to the small restaurant, going to the large restaurant. It’s one thing for Danielle to say, ‘Oh, I really like this and I’m passionate about it,’ but it’s quite another to envision her running a small restaurant or a large restaurant. Restaurants go under all the time because people don’t have that business savvy. AD: I’m glad that you picked up on that because I think that’s the nuance of the show, which is you really have to start to understand that these people that are on the show are going through a real journey. They’re going from, ‘I can’t wait to do this,’ to the reality of ‘Oh, I never thought about doing that every day. That’s what it means to own a restaurant or that’s what you have to do.’ I feel like they go on this amazing journey of highs and lows. Then they come out the other side with something that maybe not expect it. In their case, we showed them something that they didn’t expect. When people tune in to watch these episodes, what do you want them to get out of it? Obviously, there’s the entertainment value but is there something you want them to learn and to consider in their own lives? I say, pick something. Go through a process and make something. Just start. Just start. You can evolve into other businesses. You don’t have to get stuck with something. If you make a smart choice, you learn from it and you can go on and find exactly what it is you’re passionate about. I hope people feel inspired to go and try something they’ll love. Under New Management airs Fridays at 8:30 p.m. on CBC and CBC Gem. DRAGONS’ DEN is calling on all aspiring entrepreneurs to present their business pitches for a chance to be featured next season on CBC. Beginning in Toronto on February 10, auditions will be open to the public, as producers hit the road visiting Canadian cities coast-to-coast in search of the country’s best business ideas in need of a Dragon investment. A full list of audition dates and cities are listed below, venues, timing and additional information can be found online via the DRAGONS’ DEN website . A new night and a returning favourite are among the changes afoot for Dragons’ Den as CBC’s veteran reality series returns for Season 12. After exiting the program in 2015 to follow, as she said at the time on her Facebook page (“some big dreams, ones I want and need to chase”), Arlene Dickinson is back and ready to do battle. Things have evolved on Dragons’ Den since she’s been gone. First, the series moves to Thursdays at 8 p.m. And second, three Dragons—Joe Mimran, Manjit Minhas and Michele Romanow—who moved in after Dickinson left. Jim Treliving and Michael Wekerle return for Season 12, meaning Dragons’ Den has six business moguls on a panel split evenly into a trio of men and women. 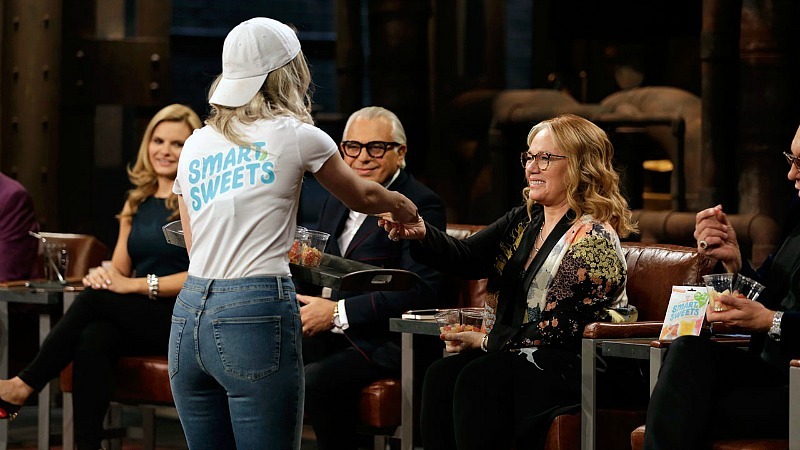 What hasn’t been altered is the shows winning formula: budding entrepreneurs enter the studio and pitch their business idea to the Dragons in hopes of scoring a business deal. One of the things you say during Thursday’s episode is that you left the show to found District Ventures. Did working on Dragons’ Den and having entrepreneurs in front of you influence your decision to begin this accelerator program? Arlene Dickinson: That was certainly a big piece of it. After spending all of those years in front of people, particularly entrepreneurs in the health and food sector, and they just weren’t getting the traction that I thought they should. I kept thinking to myself, ‘Food and health is so critical in the world today and Canada has a wealth of knowledge and expertise in both areas, I’m going to find a fund that does this.’ I realized there wasn’t one and that really got me going and led me to go out and support that particular area. You also mention in the episode that you were called and asked to return. Were you called every year since you left? It seems as though with every season the pitches continue to get better and more complete. Do you agree? Yes. I think there are two things that have happened over the course of time. Maybe three. The first thing is that the pitchers are definitely better. There are bigger businesses and are coming in prepared and know who they want to speak to. And the female entrepreneurs are showing up with more confidence and a little bit more assured about what they can offer, what they do and are building a business and that’s awesome to see as well. There are three ladies on the Dragons’ Den panel this season. Is that representative of what the business world is like now? Is there gender parity in the boardroom? It’s certainly not that way in the senior boardrooms of corporations. It’s not anywhere near that. I think the percentage is somewhere around 17 to 20 per cent of females are in the boardroom. It’s still really still one in five. But entrepreneurs are a different story. There are more and more women going into entrepreneurial endeavours, so we’re seeing a lot more women starting up businesses and doing them home or going out and doing them as a career choice. It’s definitely growing for sure. I think more women than men, actually, are starting up businesses. You hadn’t worked with Joe, Manjit or Michele on Dragons’ Den before. What’s that experience been like? It takes a while to get used to the dynamic or everyone, so it took me awhile to understand where they were coming from and how they approached deals. There is a constant yin and yang because we’re competing for deals, we’re competing to be heard, we’re competing to talk. [Laughs.] So it takes awhile to pick up on each other’s style. It was certainly very interesting for me and kept me on my game and on my toes. Were you, overall, impressed with the pitches you saw this season? For sure. There were some really great deals this year. Some that I was really happy that I was able to get and some that I was not so happy that I didn’t get! [Laughs.] That’s kind of the way it happens. In terms of the calibre of the entrepreneurs, yeah, fantastic. There is so much innovation going on in Canada and innovation without an entrepreneur is just an idea. What can you tell me about District Ventures? District Ventures capital has raised about $30 million to go out and invest in entrepreneurial companies that are in the food, beverage and health and wellness consumer goods. We’re out in the market doing deals. I wish I had done this 10 years ago because it’s so much fun. It’s also hard work. The accelerator has become Canada’s top accelerator for health and wellness and it’s been a really interesting journey in learning about the mentoring and training and programming you need to give entrepreneurs what they need to be successful. Dragons’ Den airs Thursdays at 8 p.m. on CBC.